A group of scientists and anti-asbestos campaigners are demanding the prestigious Asia Pacific Foundation of Canada disavow pro-asbestos statements made by a former foundation fellow, Baljit Chadha. In recent letters penned to the foundation, human rights lawyer Kathleen Ruff and a group of prominent scientists slammed Chadha's support of Canada's export trade in chrysotile asbestos. 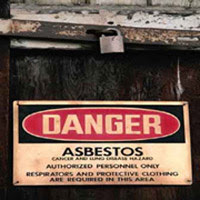 As The Tyee reported earlier this year, asbestos mining and export has come under fire from a long list of medical and public health bodies, including the Canadian Medical Association, and labour and social justice groups such as the Canadian Labour Congress. A spokesperson for Chadha -- a key figure in an attempt to raise public and private money to revamp and re-open Quebec's Jeffrey Mine, which produces chrysotile asbestos primarily for the export market into Third World countries -- disputes the claims made in the letters. Chadha's group of investors hopes to win support from the Quebec government to re-open the operation as an underground mine. It's the latest round in a long debate over the future of the industry, one that, while currently stalled, could see a second life should Chadha win Quebec's support. The Tyee obtained letters sent to the foundation by Ruff, a former director of the B.C. 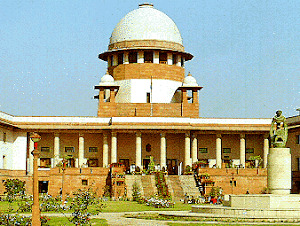 Human Rights Commission, as well as the group of scientists supporting her call for action on Chadha's statements. Chadha has made his pro-asbestos views known in various venues, including in a Montreal Gazette op-ed and on the foundation's website. "I believe that Mr. Chadha's conduct violates normal standards for any reputable research organisation and discredits the Asia Pacific Foundation of Canada," states Ruff’s letter. "I request that you ask Mr. Chadha to stop denying the overwhelming, clear, reputable scientific evidence and to stop serving his vested interests by promoting deceptive misinformation concerning chrysotile asbestos." Ruff's letter echoed a similar call from 25 scientists and physicians. They argue the foundation is "violating minimum ethical standards" by refusing to take action against Chadha, "who falsely claims that the World Health Organization supports the use of asbestos, when, in fact, the World Health Organization opposes the use of asbestos." Guy Versailles, a public relations consultant representing Chadha, responded to The Tyee's request for comment, stating that Chadha has "absolutely no intention" of resigning from the foundation, and that he stands by his statements. Foundation executive director Jill Price noted via email that Chadha's term as a Distinguished Fellow expired on Oct. 16 of this year, and that he no longer had any connection with the foundation as of that date. She went on to say: "We know well that many trade and economic issues find Canadians divided, along with those involving human rights and the environment, among others. Our job is to provide an open platform and non-partisan approach for a reasoned discussion." WHO: ban or no ban? In Chadha's op-ed article in the Montreal Gazette, the Quebec financier wrote that: "There is peer-reviewed scientific evidence that exposure to chrysotile asbestos respecting the province’s industrial exposure standard of one fibre per cubic centimetre poses no health risk. That is the norm at the mine today and by the World Health Organization today." In her letter to the foundation, Ruff calls this claim false, citing a 2006 statement from the WHO that reads in part: "Bearing in mind that there is no evidence for a threshold for the carcinogenic effect of asbestos and that increased cancer risks have been observed in populations exposed to very low levels, the most efficient way to eliminate asbestos related diseases is to stop using all types of asbestos." In response, Versailles suggested that Ruff and other anti-asbestos campaigners are misrepresenting the position of the WHO. He said a later vote by the World Health Assembly, which he described as the top decision-making body of the WHO, declined to support a total ban on asbestos exports. "WHO will work with Member States to strengthen the capacities of the ministries of health to provide leadership for activities related to workers' health... Its activities will include global campaigns for elimination of asbestos-related diseases -- bearing in mind a differentiated approach to regulating its various forms..." a 2007 WHO document reads. Versailles said this statement, made in May 2007, trumps the call for asbestos eradication in the 2006 WHO statement that Ruff cites. "I fail to see how an information document published a year earlier could supersede a clear decision by the WHO's top decision making body," he wrote by email. However, a 2010 WHO fact sheet states the organization "works with countries towards elimination of asbestos-related diseases in the following strategic directions: by recognizing that the most efficient way to eliminate asbestos-related diseases is to stop the use of all types of asbestos..."
And while criticizing what it characterizes as "inconsistency" in WHO policy on asbestos, a pro-asbestos industry website "No Chrysotile Ban," has also recognized that the U.N. body called for a ban in a major publication. 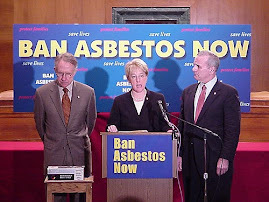 Ruff argues that the evidence for asbestos harm and for a total ban is widely supported by medical experts and organizations around the world. "What Mr. Chadha says in his presentation on your website is repudiated as dangerous, disreputable misinformation by Canada's medical authorities and international authorities," she writes in her letter, citing a slew of major health organizations including the Canadian Medical Association, the Canadian Cancer Society, and the Lung Association of Canada. "Not a single reputable scientific or medical association supports the assertions put forward by Mr. Chadha on your website," she concludes. Dr. Ferdinand Turcotte, one of the 25 scientists who also wrote a letter to the foundation, told The Tyee: "As far as independent science is concerned, the carcinogenic property of all forms of asbestos is a settled question, and it has been so for close to 50 years. 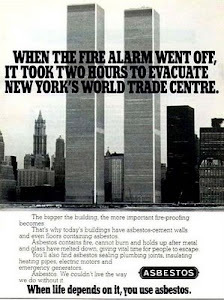 "It is a fundamental rule of conduct in public and occupational health practice that whenever a product is found to be carcinogenic, we have the duty to substitute a non-carcinogenic substitute when such is available, which has been the case with asbestos for a very long time." Chadha's rep said that statements from the many medical organizations that call for asbestos bans do not persuade him. "We should not throw away our judgment just because we hear from doctors," Versailles argued. "The evidence for harm is not there." He said that WHO estimates of 100,000 asbestos deaths annually around the world were not backed up with hard data. "2: When properly controlled and used, chrysotile asbestos in its modern day high-density applications does not present risks of any significance to public and/or worker health." At least one of the authorities who signed the pro-asbestos letter has a history of contracts with the asbestos industry. 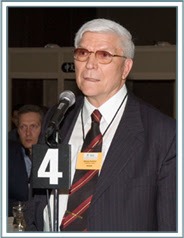 According to the Canadian Medical Association Journal, Dr. David M. Bernstein, who is described in the pro-asbestos document as a "consultant in toxicology" based in Switzerland, was paid over $400,000 dollars for pro-asbestos consulting by Union Carbide, and has worked for other asbestos producing firms over the years. Meanwhile, on Nov. 24, CTV reported that for the first time in 130 years, production of asbestos ore from Canadian mines had completely stalled, after production stopped at the Jeffrey Mine's only Canadian competitor, Thetford Mines. However, Bernard Coulombe, president of the Jeffrey Mine that Chadha hopes to renovate, was quoted by CTV as saying he was optimistic that the Quebec government will provide the loan guarantee that Chadha is seeking, thus allowing another 25 to 50 years of asbestos export activity. Tom Sandborn covers labour and health policy beats for The Tyee. He welcomes your feedback and story tips here.